Hi, I'm Rajesh Sharma. Welcome to my profile! 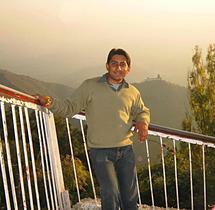 Rajesh Sharma is a B.Tech in Electronics & Comm. engineering. I am working in Internet marketing field from Jan. 2012. My job is to convert a business into a brand. I worked at this place for more then one year as a SEO executive. SEO & SMO Team Leader at PTI Webtech PVT. LTD. I am working at this place as a SEO & SMO team Leader.